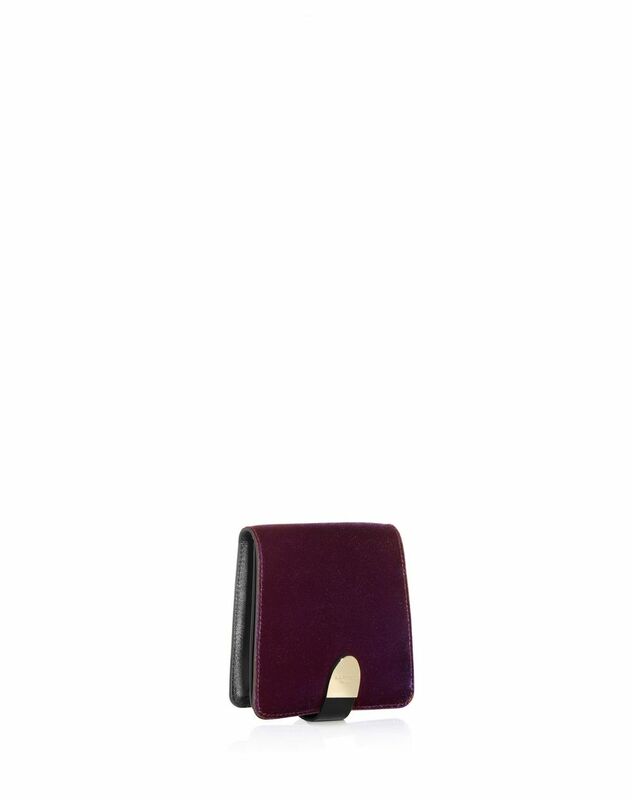 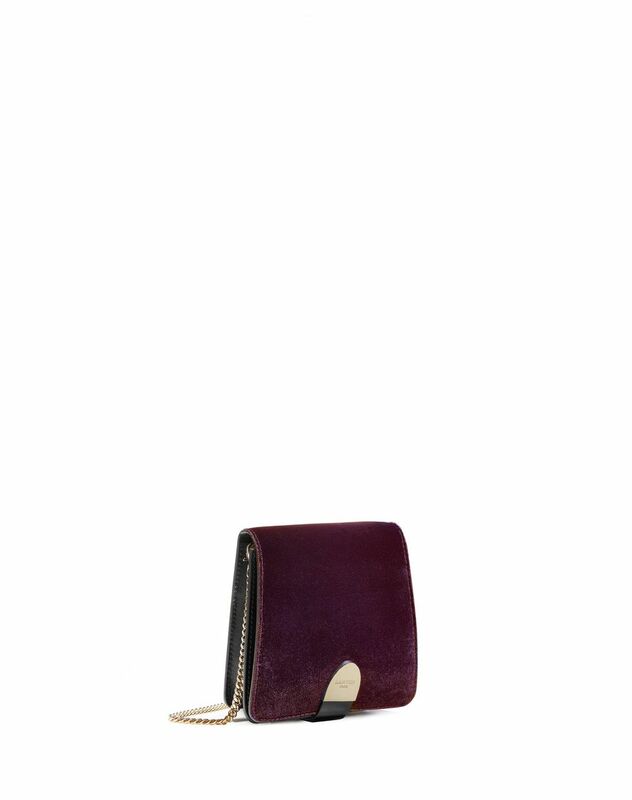 “Discret” bag in plum velvet with black goatskin leather gussets, flap with Lanvin-engraved snap closure, vermeil-finish metal chain, can be worn across the body or on the shoulder, black goatskin leather lining with logo. 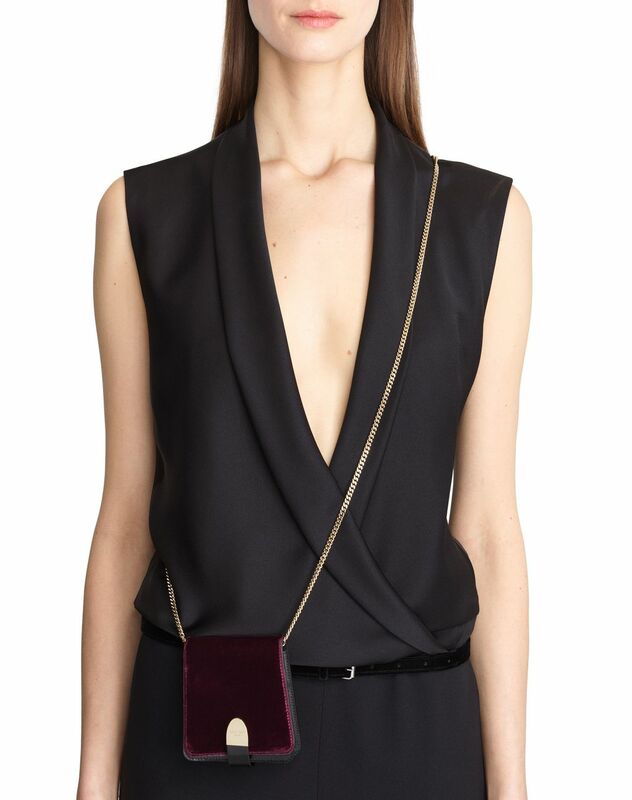 Main material: 100% viscose weave. 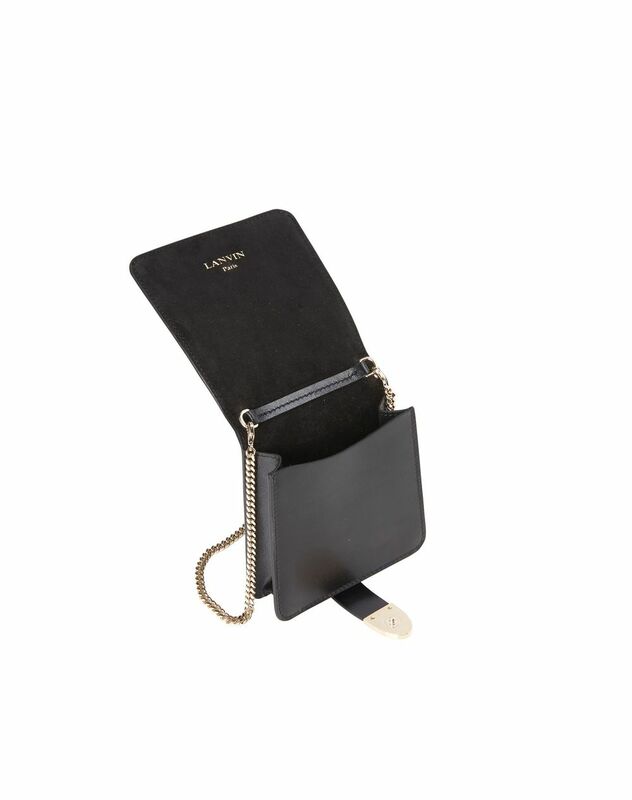 Lining: 100% goatskin leather Depth : 2.5 cm Width: 10 cm Height: 10 cm Chain length: 115 cm Made in Italy.